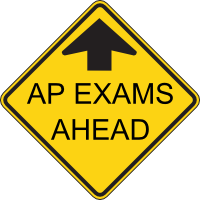 The 2013 test dates for your student’s AP exams are approaching. Yes, those elusive Advanced Placement tests that occur every year between the ACT and prom. If your Junior or Senior student happens to be taking an AP course this year, then you might want to pay attention and even consider using an AP Exam tutor. One of the biggest mistakes students make each year is to assume that because they are taking their AP course, then they will automatically score well on their AP exams. While that may be the case for some, it certainly isn’t the case for most students. The AP exam, unlike the weekly tests and exams for the course, functions quite differently and a AP exam tutor could give your student a boost. Most of these exams are comprised of both a multiple choice section and an essay section. Sounds pretty familiar to other exams, right? Well, AP exams are a bit different in that they aim to gauge whether a student not only understands the material, but also has grasped the “Big Picture” of that particular subject. In other words, your student might be a wiz at remembering dates, places and names for their U.S. History course, but are they at grasping how those people, places and events contribute to the development of the country and its people? Does your student remember the names and movements of various art pieces in their Art History course? Yes? That is great, but have they grasped how each movement or artist influenced each other? Seeking help for the AP exams is not unlike seeking help for the SAT or ACT. New sorts of exams challenge your students in a variety of ways. While there are various apps and practice tests for these exams (both free and costly), seeking the help of an expert outside of the classroom could reap great rewards. Certainly an app can help a student test their knowledge on the multiple choice section, but are they really grasping the information? Additionally, are they working on good testing strategy to make sure they achieve the highest score? The AP exam “penalizes” wrong answers. Therefore, a student might be better off answering X amount of questions that they are absolutely sure about, guessing on Y amount of questions and leaving Z amount of questions blank. These sorts of strategies can be difficult to navigate. Hiring a tutor can help your student to construct an adequate game plan for their exams.